Mumbai: Chennai-based agri value chain finance firm Samunnati Financial Intermediation & Services raised Rs 33 crore in offshore debt. 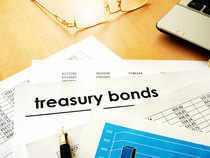 The bonds were subscribed by two investment funds managed by Symbiotics, a Swiss-based impact-focused investment firm. This is the NBFC’s fifth such off-shore debt issuance in the last seven months. Funds raised will be utilised to finance small-holder farmer organisations and agri-enterprises, the company said. Only 30% of the total credit requirement in the agriculture sector is met by formal institutions such as banks and NBFCs. Samunati with Rs1600 crore assets under management provides working capital needs to about 2 lakh farmers across 14 states in the country.